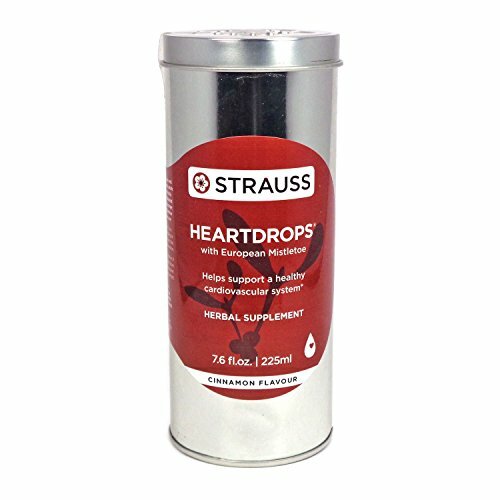 Strauss Heartdrops Cinnamon 7.6 Fluid Ounce or 225 milliliters uses ingredients that have a long traditional use. 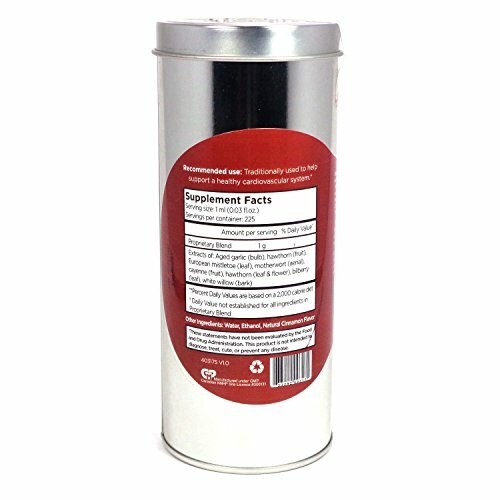 This product contains 225 one milliliter servings per bottle. Inside each bottle are potent ingredients including European mistletoe, aged garlic, bilberry, and Hawthorn leaf. The unfiltered bioactives and process method that stabilizes the allicin in garlic make this formula complete. If you have any concern of heart health, blood flow, cardiac issues, arrhythmia, blood clots, an enlarged heart, circulatory concerns, heart attack risks, or myocardial infarction contact a healthcare professional. These statements have not been evaluated by the Food and Drug Administration. This product is not intended to diagnose, treat, cure or prevent any disease. If you have any questions about this product by Strauss Naturals, contact us by completing and submitting the form below. If you are looking for a specif part number, please include it with your message.